It was a boom time for the stockholder. Stock prices soared to record levels. Millionaires were made overnight. Sound like the stock market of the 1990s? 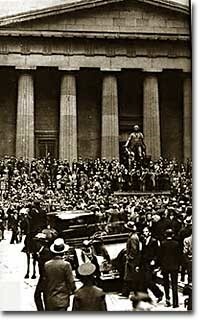 Try the New York Stock Exchange on the eve of the Great Crash in 1929. What caused the market crash of 1929?